Pamela Seagal is a specialist in Early Childhood Education and a pioneer in Social and Emotional (SEL) education in South East Asia. She is the founder and curriculum developer of the Emotionally Socially Intelligent (E.S.I.) KIDS programme. 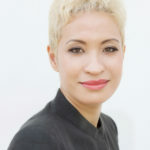 Pamela is the principal trainer and Director of Seagal Education Consultants Pte Ltd, Singapore. Pamela’s passion and focus is in social and emotional education and with the E.S.I. KIDS programme. She has enriched and transformed the lives of several thousands of students since 2007 and her programme has been used by well-known Singaporean, Australian and Malaysian early childhood institutions and schools. Her career has developed over a decade. She has a wealth of experience in education management, curriculum design and development and in teacher training in South East Asia, Singapore and Australia. She has lectured and taught at reputable institutions such as the Singapore Management University (SMU). The early childhood educators that have participated in this programme have deepened their basic knowledge and learned new and innovative skills, to meet the 21st century educational challenges. She holds degrees in Education and Training, and Applied Linguistics, besides this, she holds postgraduate degrees in English Language teaching.